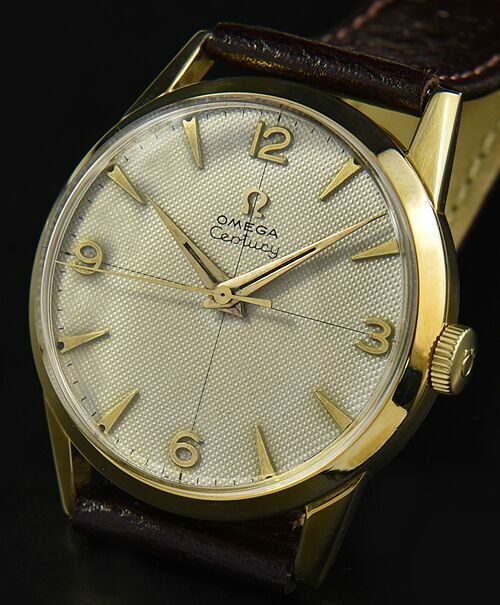 This is an OMEGA CENTURY watch dating to 1953. 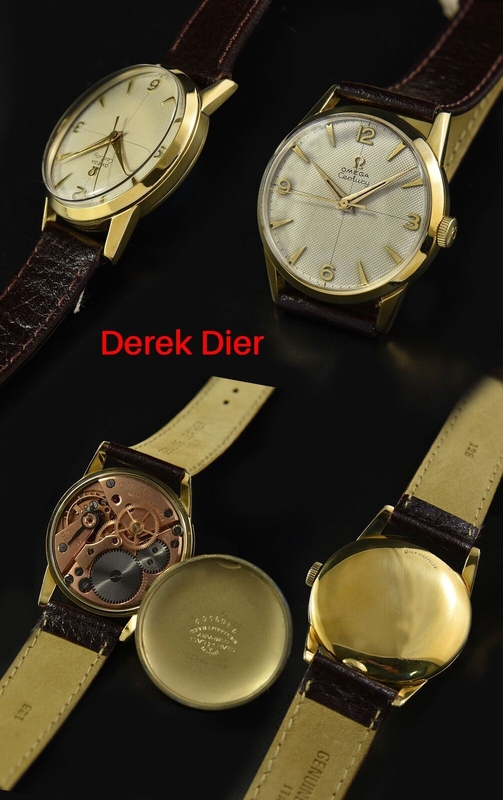 These watches were produced by OMEGA for a short time. The caliber 283 manual winding movement was just cleaned and overhauled-is accurate. The honeycomb dial with original gold toned Arabic numerals and arrow markers is completely original and retains the original Dauphine hands and sub-seconds. The 33mm.14k. gold filled case is a contract case made by STAR watch company (as these always are). The proper OMEGA winding crown is installed. These OMEGA century watches were produced for the Canadian market. In order to circumvent import duties, OMEGA had star watch company produces cases in North America. This is an uncommon OMEGA variety.